I was first introduced to Jonathan Kay, unknowingly, via his work on Justin Trudeau's biography "Common Ground" which I liked a lot. Eventually I learned about his work on Trudeau's book and discovered to my surprise that Kay was conservative. But I was inclined to agree with Kay on the absurdity of "cultural appropriation." And then Kay got involved with Quillette, the Fox News of the international right, first writing articles and then as an editor. 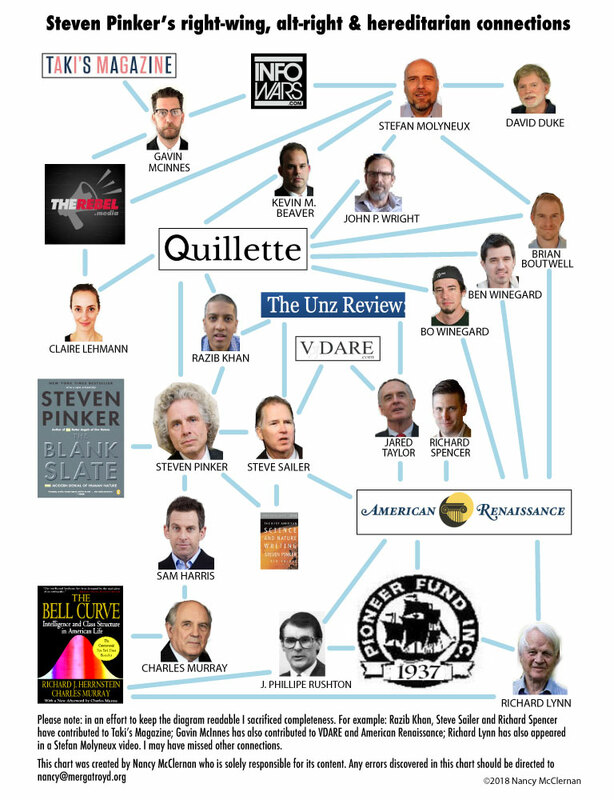 The articles published by Quillette are generally very bad, selected mainly, it appears to me and to others on how much grievance it expresses at one or another aspect of the twenty-first century. Although they have not been pushing topic 5 as much lately, I think. I spent more than thirty hours interviewing Trudeau. He told me hundreds of stories, not all of which made their way into the book. But there is one, from his young childhood—during the period after his mother, Margaret, abandoned the family—that stands out clearly. On one occasion I decided to mark her arrival with a musical theme. I had received a small record player as a gift and enjoyed playing the hits of the day—“the day” being the early 1980s—especially Journey’s romantic ballad “Open Arms.” I had heard my mother say how much she liked the Journey song, and I decided that this would be the soundtrack to her entrance at 24 Sussex after one particularly long absence. I waited for her to arrive in her VW Rabbit before cueing up my tiny, tinny record player in my room upstairs. As she opened the door and entered the foyer I cranked up the volume and rushed to the top of the stairs. “Listen, mom,” I yelled down to her. “It’s our song!” Her reaction was to stare up at me, happy to see me but a little confused because she couldn’t hear the music at all. The volume on my record player was about half the level of a modern cell phone. I remember being crushed by that, so desperate was I to inject a sense of magic into every moment that we did have together as a family. When Common Ground was published in 2014, and the Trudeau camp chose to disclose my role in preparing it, lots of friends asked me some variation on the question: “What’s he like? ” I would say, “Read the book.” And like clockwork, they would roll their eyes and reply, “No—what’s he really like? ” The underlying assumption is that books of this type are mere propaganda. Depending on the politics of the person asking me the question, there usually was some suggestion that, behind closed doors, Trudeau is either a closet socialist or a corporate shill. That he is a thumb-sucking ignoramus who is spoon-fed his lines by Gerald Butts—or a tactical genius who wears his glibness and childlike enthusiasms as a political mask. That he is a tormented scion who is desperate to rise to his father’s epic legacy—or who bitterly detests the old man’s oversized shadow. Since we have spent the last decade trying to figure out the “secret agenda” of Stephen Harper, it was perhaps inevitable that the country would become convinced that there is some “real” Justin Trudeau lurking below the surface. You can find the real Justin right there, at the top of those stairs, playing his record player. Beautiful and generous given Kay's rightward leanings. And now he spends his time editing a rag like Quillette and even worse, mobbing a Canadian academic for expressing her opinion of those writing for Quillette. I hear that things are tough in the literary world right now, and I think Kay's career is part of the fallout of a changing financial model. It's a damn shame Kay can't do what he's good at, for a better cause.